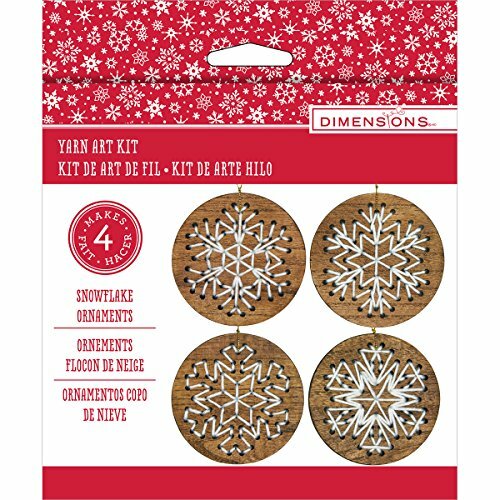 Stitch Art Wood Ornaments Kit 4'' Makes 4-Snowflakes by Dimensions at Designers Artists. MPN: 72-08279. Hurry! Limited time offer. Offer valid only while supplies last. Make Four Ornaments. Kit contains four pre-punched 4'' diameter wood ornaments, needle, yarn, cord, and instructions. Make Four Ornaments. Kit contains four pre-punched 4" diameter wood ornaments, needle, yarn, cord, and instructions. Imported.